Before people hear your message or get to know you chances are they are going to experience your personal brand. Your personal brand is the combination of elements that represent you. This includes your website, videos, social media channels, photos, business cards, e-mails as well as your personal style. When you aim to be a rockstar professional, you should aim to be BOLD, be unique and be yourself. Your personal brand should be refined to be the best it possibly can be. This may take time to develop and it will be an ongoing process that really never ends because you will always change and grow through time. There have been countless celebrities that have made millions of dollars by leveraging their personal brands. Traditionally celebrities and few other professional were the only ones to benefit from this concept as it took traditional advertising such as TV, Radio, and/or Print to get their brand out for others to see. With today’s technologies anybody and everybody has the ability to develop their personal brand and benefit from it; leveraging it to serve their agenda. Why a Rockstar? A rockstar is typically someone who has a bold, unique, individual style that aims to provide the best experience for their fans while staying true to their core beliefs and integrity. You can build a business around your personal brand. Even if you are already a successful professional, you have the opportunity to grow exponentially if you have a BOLD Vision. Even when people thought Oprah Winfrey had reached the top, she took her brand to the next level creating her own TV network and magazine. If you’re thinking you don’t have room to grow, you’re not thinking big enough. There are many ways you can build a business or enhance your existing one by leveraging your personal brand. Create Content & Get Sponsors. Some have made millions from sponsors by leveraging their influence. Create Products based on your knowledge. Create a product once, sell it many times… to the world. Offer Professional Services. If you have a solid brand that has established it’s authority, you can charge top dollar for your time. When you are someone who has clout, with established credibility and a strong personal brand that highlights the best of you, you’ll have an edge over your competitors. You will be primed for earning more money and for getting the opportunity for better promotions. If entrepreneurship isn’t your thing, and it’s not for everybody, you can still make some extra money by selling your knowledge and insights to others. Sure you can do this without a rockstar personal brand but you can make more if you have a stronger brand. One may think, I be happy sharing my knowledge for free. That’s great; you can still do that. Keep in mind that some people actually do benefit personally from investing in their knowledge; it helps them be more accountable for ensuring they follow through. You can also use the money you earn to help people in other ways. Having a rockstar personal brand helps grow your influence among other’s thoughts and actions. When you want to share a point of view on a topic or call people to action to help with a charity or other cause, it is helpful to have an established brand. The brand communicates who you are and what you’re about, which can foster trust among your audience. Many people live their whole lives not truly knowing who they are or achieving their full potential. 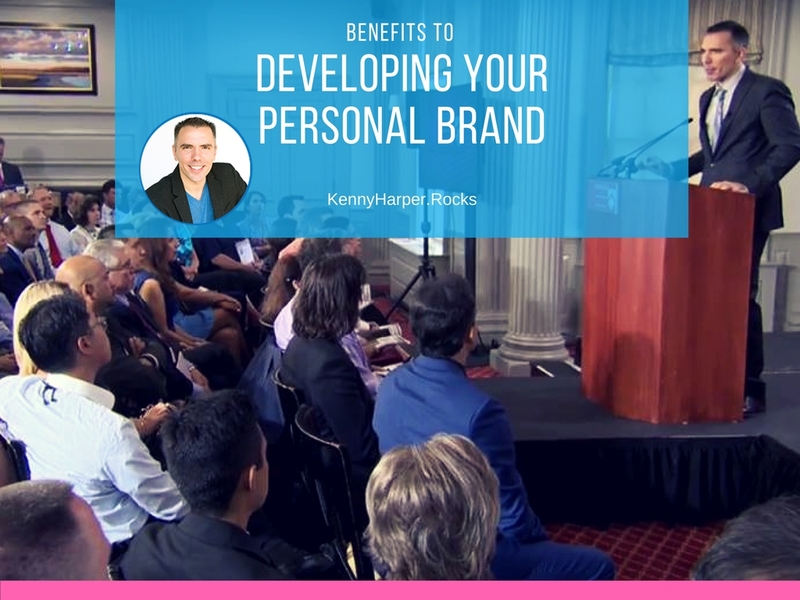 When you make the decision to develop a rockstar personal brand, you are not just making a choice to create some graphics and some marketing spin to make money. No, you are making a commitment to develop yourself as well as your branding elements to their highest level. This experience can help you find clarity and fulfillment in your life and open up doors to a bigger, bolder future. How committed are you to developing a rockstar personal brand?